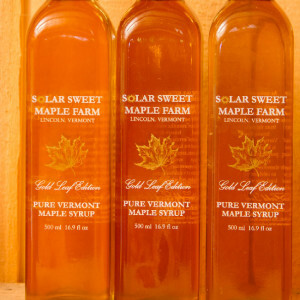 The Solar Sweet sugarhouse has been built from reclaimed Vermont barns. 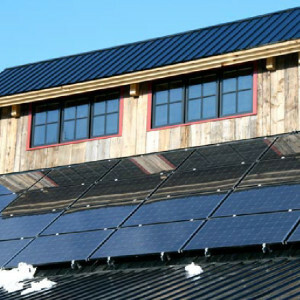 Solar panels provide enough energy to power the entire sugarhouse. We believe that one of the many great traditions during sugaring season is visiting the sugarhouse and watching the sap being boiled and made into maple syrup. 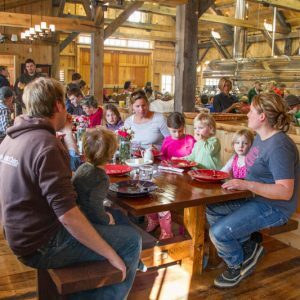 We’ve created a space where people can sit at our custom farmers table and enjoy a delicious maple treat or sit up at the counter top on our teak stools and get a bird’s eye view of the maple syrup making process. We welcome visitors and want them to feel at home in our place. Our Gold Leaf Edition is made from the first syrup run of the season. 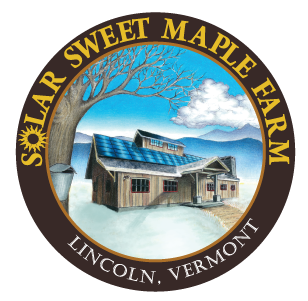 Solar Sweet Maple Farm Annual Pancake Breakfast! Learn more about how we created a sustainable sugarhouse!